Tembusu pilot programme students enjoyed an informal day full of fun activities at Prince Georges Park Residence. Meeting each other and college staff, the students got to know each other better and shared their views and notions of college life. 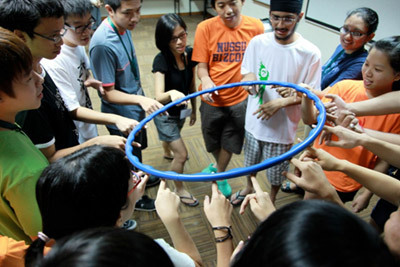 As the first cohort of Tembusu College, the pilot students were briefed on what to expect during their residential experience and on how they could contribute to the culture of the college by Master A/P Gregory Clancey, resident fellow Dr Philip Cho, graduate resident Kuan Yee Han, and resident assistant Anuj Khemka.